The App Academy is a traineeship program in Amsterdam, Netherlands for experienced developers to become professional iOS or Android developers. The bootcamp starts with an advanced app development course, followed by placement in a contract project after graduation. The iOS bootcamp retrains experienced developers in developing for mobile from prototype to deployment. The curriculum covers the fundamentals of XCode, Swift, how to make working apps, and it offers new technologies like augmented reality, server-side Swift, machine learning and Sirikit. The Android bootcamp covers Java, Android Studio, SDK and Material design. Trainees in both programs also learn development best practices and new technologies like AR, ML and backend integration. After the 8-week course, students are offered a mobile developer job contract working with The App Academy's internal agency and receive mentoring and coaching during the contract. The curriculum is taught in English, and all teaching materials, software, and tools are in English. Programs are very hands-on, as The App Academy collaborates with business partners. We provide advanced iOS - & Android development apprenticeship programs for intermediate developers. Once the application process is finalised accepted developers are offered a job contract. Your new career starts with an intensive tech bootcamp to retrain you to become a mobile focused native app developer. After graduation you start working on emerging technology projects through our company. If you are ambitious, hungry for knowledge and looking for the fastest way to become a professional app developer, you should apply now! Minimum of 2 year professional tech work experience. I started this boot camp with about half a year of iOS experience. I had done a handful of projects for myself and one project for a company. Even though I was doing alright in the field I wanted to get more knowledgeable and experienced in a short time, which is where the boot camp came into play. Programming experience is required, not necessarily Swift. Our lecturer was a developer with 30+ years experience of which 10 years iOS. He is more modern in his code and approach than many other developers with the same amount of experience. His teaching style is helpful but with a lot of freedom. The student is expected to try and figure out how to do something without immediately asking. An occasional push in the right direction was given when required and after you figured it out and got it working an explanation as to how or why it worked soon followed. The first week of the boot camp was used to get non iOS developers up to speed with iOS. During this time the iOS experienced developers would do some additional assignments. The following couple of weeks were used make some small apps to gain some experience with frameworks previously unknown to us. Next to just programming there was also time for guest lectures and computer science subjects. The last 4 weeks were used to create an app for a company. I was tasked to create an AR app which was to be used in a moving vehicle. This proved to be a problem since ARKit uses a variety of sensors to decide where to place the object. This basically means that when you’re in a vehicle your AR object keeps floating out of the screen. Luckily ARKit 2.0 was just announced. So after installing all the Beta software (not recommended if you appreciate stability) it was time to start figuring out how to get everything to work. Since there wasn’t any documentation available on ARKit 2.0 it was a bit more difficult. Figuring something out with limited resources offers great satisfaction once finished. Job support was good. The guys kept me up to date for possible jobs. Once they found the right one we went there together to see if it was a match. Currently working for a big insurance company now thanks to them. Tl:dr Great boot camp with a great lecturer. Learned a lot and would definitely recommend with cool concepts such as ARKit(and others). Programming experience required not necessarily Swift. This program is absolutely awesome. I attended the 12-week iOS bootcamp in may 2017. It's the best and fastest way to learn iOS development In 12 weeks. The teacher and curriculum were amazing and the pace was really fast. Bootcamp at is finest. I had no programming knowledge but made 5 really cool apps I can show my future employers. Before the start of the App Academy I had zero experience with coding. They assured me that that wasn't neccesary, so I took the jump and went. It was a very intensive, but learnfull experience. Our teacher Daniel Salbers was a very experienced developer with lots of patience. After the course I had some difficulty finding a job, but after 2 months I started as junior developer at a wonderful company and I'm still happy that I decided to turn my life arround and start a career as developer. Kickstart for a new carreer! While I was searching for a job within fashion, I just couldn't find something that felt completely right. This bootcamp appealed to me because you quickly learn a new skill and a new profession. Unsure if I could learn it all within 3 months, I started the bootcamp and dived in head first. Due to the high level of the teachers and the intensity of the bootcamp, I felt like I could learn it all within 3 months. The environment is easy-going and stimulating, with room to make as many mistakes as you can to understand all the concepts better. I am convinced that anyone who really really wants to, can learn how to code in swift. It requires total commitment, but with that, it is definitely worth it a thousand percent. Having only done some Swift tutorials online prior to the iOS bootcamp, my knowledge was very limited and honestly I was not sure I would be able to learn how to code in just three months. Although at times, the course is extremely challenging and I felt confused at the beginning (especially during week 2 and 3) it all started making a lot of sense shortly after. So as long as you really apply yourself and try to follow the instructions and tasks you are given, you will soon realise that coding is a way of thought and you will start grasping concepts and ways of teaching yourself how to code. I thought that the teaching staff was great and provided me with all the support I needed to learn Swift and how to teach myself (which is key!). The main tip I could give to someone looking to do the course is to really apply yourself and ask questions, all of them, there are no stupid questions. The teaching staff is there to help and they are very helpful and approachable. I really recommend the course! While there are many aspects that could be covered, I will review two aspects that personally I found most important during my bootcamp at The App Academy. That is the language that we were learning and the way we were taught it (and what future prospects did it set). Probably one of the greatest things about The App Academy is that you get to learn how to work with the newest and most promising iOS developing language, Swift. While Objective-C still remains widely used in the world of iOS development and knowing it is still important, The App Academy offers a forward-looking approach and aims at preparing you for the growing present and future trends. Subsequently, the downside of this approach is that you do not get a chance to know Objective-C better. While there where few hours spared to understand the structure of the language, if you want to learn it more in-depth, you are expected to do so on your own as the scope of the course is not capable of including more lessons on Objective-C. The teachers at The App Academy are young and enthusiastic. One of the most admirable things about the teaching in general is that they are really prepared to teach people with no experience in programming and limited knowledge in IT in general. The teachers are friendly and supportive. While the teaching methods may work differently for different people, generally, I found their theory/practice ratio quite good, focusing more on theory in the first third of the course and working on bigger team projects during the rest of the time. While in terms of acquired knowledge it is not possible to learn enough Swift to become a full-fledged Junior developer in just three months, I think The App Academy gives a good foundation for feeling confident and continue to deepen your knowledge and skills on your own and even find a job as an entry level developer in a company that is looking for more than just a set of skills. 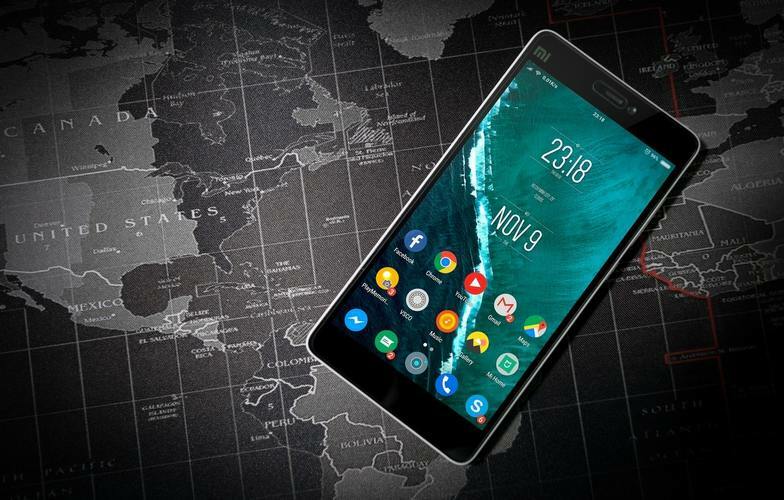 This course could be a good investment if you consider that learning how to make mobile apps could enhance and contribute to your other skills and abilities. Overall, I thoroughly enjoyed taking classes at The App Academy and I felt a great improvement on my programming knowledge and skills. I would recommend this course for taking your iOS app development experience from zero to the level of beginner iOS developer. Although the classes are perfectly suited for people of any non-technical background, I believe that the ones who can benefit the most are people who already are more comfortable with mathematical logic. After all, programming is about logic, mathematics, and everyone's so well-loved algorithms :) So while it is not something that a person will have to deal with during the classes a lot, in a long run, for those who aspire to take a job in the IT field, Swift, like any other programming language, will require a lot of logical thinking and mathematics-based approach. Joining the Bootcamp was the best thing that I did, looking back on this year (2015). I come from a design and architecture background with little experience in CSS and web tools. Stye of Bootcamp training worked for me, as it was intensive and formed good coding habits and practices. In order to 100% accomplish this course be prepared to work after hours too. I think there are two sides of this training one was learning the principles and syntax of coding and other working with other developers to understand social and management importance. The training started with nice introduction by our mentor Daniel Salber who had a challenge to explain fundamentals of coding (arrays, variables, functions...) to absolute beginners. This was taken into Swift language, style of teaching was interactive as we had to very actively participate and speak out ideas on questions asked. This way we remembered sooner and developed abstract thinking that is necessary for coding. We learned from a book and worked alone mostly on the syntax of Obj C which was intimidating at the beginning but now it seems easier than Swift. My two projects I did here with a colleague were done solely in Obj C, I am getting back to Swift now. The first project is about working together and choosing whatever idea you have to fulfill the given technical restrictions (Frameworks). This takes 2 weeks and is fun because you get to do what you like and not really understand what you doing. Second project everything got clearer to me and I could take more control. In that project we worked with students from TV Academy who came with some ideas but was very much expected that we lead the project. Here the challenge was to work with UX designers and use their help. The only thing that I would change in this program is to have more changes in team work. We did not choose our team it is given to us by a random name picking. iOS development industry is possible with job down the line that AA recruiters are working on at the moment. I had been wanting to change careers for years, but i didn't know what to go for. One thing i did know was that i wanted to learn a skill that would allow me to work from anywhere in the world. I love traveling and i thought it would be great if i could combine it with work. After a while i got really interested in apps and all the possibilities they offer. With no coding experience what so ever i started looking into the possibilities of becoming an app developer. I didn't feel like going to school for a couple of years and i also didn't feel like doing an online course. Than I found out about The App Academy and i went to an open day. Right away i had a good feeling about the bootcamp courses they offered. I decided to join the september 2015 bootcamp. And it was the best decision of my life. I didn't know what to expect and i was a bit sceptical. Could i really become an App developer by completing this course? Now i can say that it has exceeded my expectations by far. The bootcamp was hard. There were days that i was really doubting if i could ever grasp the material. I experinced a lot of ups and downs and sometimes it really was like a roller coaster ride. But we had great teachers and they did their utmost to support us in any way possible. The pace of the bootcamp is very fast. But with enough dedication anyone could follow. Before the bootcamp i hadn't even ever touched a mac computer so i had to adapt also to working on a macbook. And did i write that i didn't have any programming experience at all? Well, i still made it! During the course i was able to build two apps from scratch which i'm very proud of. I have mastered the skills to be able to build iOS apps. And i have a lot of resources to help me grow as a developer. Furthermore, The App Academy is going to match us to the right company's to do an internship. I have met several ex students that did the bootcamp before me and each and everyone of them is now working with a great company. It was great to see that the people of The App Academy keep so close in touch with all their former students. For anyone who is looking for the best and fastest way of becoming an app developer, i can truly say don't look any further. The App Academy bootcamp is your best chance. I am so happy that i encountered them and I hope to be in touch with the great people for many years to come! The bootcamp started with an introduction in Swift using playgrounds and to get familiar with programming and XCode. The program used to write iOS apps in. Here after we started working in Objective C to build small apps and to learn how an app is constructed. We ended with mixing in Swift, to learn how this language can be used in todays apps. In the beginning you keep asking yourself if you are in the right place. You feel totally overwelmed because everything is totally new. But due to the very patient, helpfull and great teachers I always fellt this helped me learn the most. Because of the structure of the bootcamp I learned a lot on many different 'coding' topics. At a certain point I noticed a tipping point In my programming skills. it feels like everything falls into place and from then on I started doing more and more myself, without looking at books or tutorials. In the finals projects it was also great to learn to work with UX design, agile scrum and Git which is great to know because in practice you'll need the knowledge. Now after three months of practice I'm a IOS Developer with the skills to build apps. After the bootcamp The App Academy also helps me to find a job to set out in the coding world. I'm really happy I applied to the course and with everything I learned and would recommend it to anyone who wants to learn coding! The first few weeks were really hard and at times I got the feeling that it all went over my head, but when we started on our first project I discoverd that we did learn a lot and at the time we started the second project I know alot better what I was doing. Before I started I had no knowledge about programming, besides a few lines of html. 3 months later I am confident enough to say that I am a iOS developer. We started with an introduction in Swift, Apple's new language. This took about a week and was just to learn us the basics of the syntax. Then we started learning Objective-C with help of a great book and even better teachers. The first weeks I was a bit nervous and I couldn't believe that at some point I was gonna be able to write a solid line of code myself. It was really hard. But when we started our own project, I realised how much I've learned. After the first project, building an app, we started another app for an actual client. At that point I realized I knew so much already. The teachers at The App Academy are the best. Extremely patient and they know what you are going trough when trying to figure something out. They help you with everything. The curriculum is also great, thanks to the projects, which take over 7 weeks, you learn a lot about working with clients and solving real coding issues (you will have a lot of coding issues). Also youwill learn what you need when you get a job, for instance Git and UX Design. Besides all that, The App Academy helps you with finding a job, thanks to their great network. Roughly 3 months ago I was a cook who could make "Hello World" appear in html, now I am a iOS developer with two actual working apps. I have an Honest and different opinion. One of the worst programs I have ever attended in my life. Very poor material delivery. The teacher we had had no experience in teaching. When things went wrong in learning, they blamed it all on the student and kicked him out of the course. While the problem was in: they had no plans on what to do with students who fell behind. They gave me a book, and inforced me to keep reading by myself for 3 consective weeks. It was obvious from the first week my progress was slow, but they did not address it in the begining, they left the problem to escalate. Then they created more problems with me to make me want to leave. I do not recommend this Academy to anyone. Although Fehim Hatipoglu studied electrical engineering at Purdue, he was interested in an iOS coding bootcamp to get a job in mobile development. Since he always wanted to live in Amsterdam, The App Academy was the perfect fit. Having recently finished 9 weeks at The App Academy, we talked to Fehim about the growing Amsterdam tech scene, some of the projects he worked on over the course of the 9 weeks, and why he’s confident in getting hired the next few months. You studied electrical engineering at Purdue. What kind of computer science classes did that degree require? I took a course on C in college, so I mostly knew Matlab and Python simulations programs. I had no background with Objective-C or iOS developing whatsoever. Before I came to The App Academy, I wanted to learn as much as I could, so I used websites like Treehouse, Udemy and Codecademy, and I read some articles and did some tutorials in iOS but I wouldn’t say I learned that much while I was doing that. Were you only looking at iOS bootcamps? I was really interested in iOS. I looked at a couple of bootcamps in London like Makers Academy. But I’ve always wanted to live in Amsterdam and when I found The App Academy, I would say my search ended after I met Martijn, the founder. They offered a really well thought-out curriculum. They take you from no knowledge whatsoever and help you to become an all-around app developer, instead of just a coder. The main reason I chose The App Academy is that they told us we would be working with a real client at the end of the program. 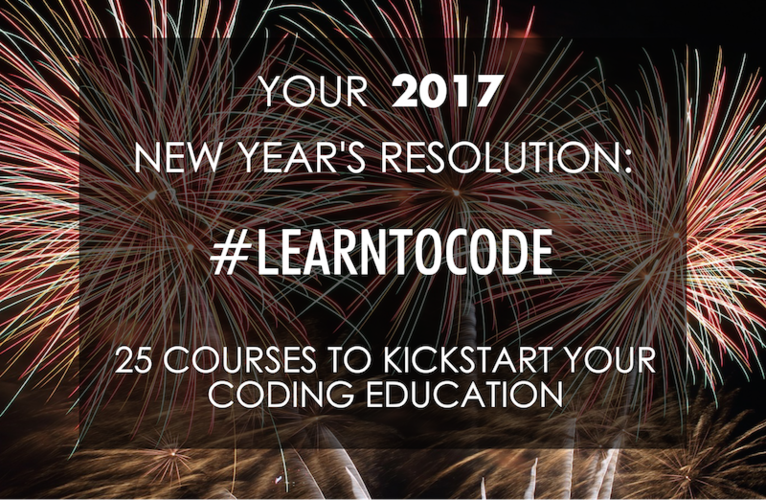 What was your career goal in doing a coding bootcamp? In the short run, it will be better to work as a developer so I can gain experience and get to know about the developer scene in Amsterdam. Eventually I want to have my own company and work on my own ideas. They invite everyone for open houses and private interviews. I sent my resume at the beginning and filled out the online application form and I got a reply from the founder. We set up an interview and I traveled to Amsterdam to meet the guys. In the interview, they asked me what I’d done, and I explained my projects and overall knowledge. After the interview, I got accepted. There were no real code challenges. What technical level were your classmates on at the beginning of the course? I did the Senior Bootcamp, so everyone had some technical background (though not necessarily in Objective-C or iOS). We had four people in our cohort- one of the students was a former .NET developer, one was a manager for a software development company and my friend (also from Purdue) is an industrial engineer. While there were four students in our class, the last cohort had classes of 18. Did you have one instructor for the four people in your cohort? Actually, we had two coding instructors, Axel and Stijn; they’re both really experienced. Axel has been working for Mac OS since 1991 and with OS X since 1998, Stijn has been a researcher for Ohio State and MIT. He’s been coding since 2009. We also had a UX teacher, Niels. What was the teaching style like? It was more hands-on. We had a book for the first couple of weeks- Big Nerd Ranch’s Programming Guide, 4th edition. We followed the tutorials in the book and we’d always ask questions. In the mornings we had lectures and in the afternoon we kept on doing the tutorials. After 3 - 4 weeks, we paired up with another student and started an application. They asked us to use the Map kits and some-back end to come up with an idea and try to show what we learned so far. The teachers are always there and they have good knowledge in different areas. For example, Stijn, Martijn and Axel are always bringing in some new tools for us to look at which can be controlled by iPhones and iOS devices. So they always try to bring something new and interesting. Can you take us through the technologies you learned in 9 weeks? As I said, I knew nothing about iOS programming so at the beginning it was kind of tough to learn all the new frameworks. For example, I started with basic controllers then went on to connect a couple of things. Then we went on to implementing the networks, the servers, and the back end. After the boot camp, I would say that I’m confident about being able to create a complete, functioning app with basic UI, obviously. Did you deploy an app to the App Store as you did those projects? No, we didn’t deploy it to the App Store but we all have functioning apps. And since we were always working with real partners, it was their choice to deploy it externally. What did you make for that first project? We made a forwarding app where you can take pictures and add those pictures to a new location. That went on for two weeks. After that, we got assigned to our employer partners, so each of us had a partner company and we started working on our individual projects and spent three weeks to a month on those projects. After the bootcamp ended, I got offered an interview to keep on developing that project that I’ve been working on for a month. Which company did you work with for your real-world project? A startup company called Nine Connections. They offer tools to increase the turnover with social networks by sharing the right content with the right people. An engine that goes through your activity on Facebook and helps publishers and news agencies share content with you through social media. What was the project you did for Nine Connections while you were at App Academy? They’re trying to develop a new app and I’m working on that. It should be around in a couple months’ time hopefully. I can’t disclose much about it, but I’m working on document reviewal. It was almost as if I’m a freelance and I’m offering my services. They explained the idea and I had to ask some questions to understand what the real problem is. After that, I started to develop my solution, which includes data models, the use, the UI, the UX etc. I met with them almost every week over Skype. What did you do when you didn’t know something? Was Nine Connections mentoring you or did you ask an App Academy instructor? The instructors from App Academy are always there. Throughout the bootcamp I remember having Skype calls at 11 p.m. with one of my instructors, trying to solve a problem. Whenever we’d face a problem they’d just sit with us and pair program until we understand the concept. Did App Academy do job prep like interview practice and resume building? Yes. For example, we had a demo day in the last week of the bootcamp, which we had been preparing for a long time. We practiced the demo day with the instructors and Martijn, and they tried to help us in how to present, how to introduce ourselves, how to ask questions properly, how to approach a client, and what a client needs. Is there a chance to be hired at Nine Connections after you’re done with the internship? This is a three-month, paid internship but it will be decided based on how the project goes. I would say I have a pretty good chance of getting hired if I’m able to keep the workload at this level. I feel pretty confident about getting a job after my internship whether at this company or another. What’s the tech scene like in Amsterdam? Amsterdam has a lot of startups, which are mostly supported by government and private organizations. From what I hear and see, they’re trying to make Amsterdam one of the startup centers in Europe alongside Berlin and London. They’re finding funding for the startups and they’re also promoting coding bootcamps and coding schools to train new developers. I would say the scene is getting bigger and bigger and there’s a good developers’ community in Amsterdam as well. I go to meetups at an organization called Cocoaheads Netherlands. We have a big and growing developers’ community here and people tend to help each other out. Have you been involved with App Academy since you graduated? I’m at one of their offices right now. I come here a couple days a week still to keep working. Is the The App Academy classroom in a coworking space? The building has a corridor with lots of small offices. The App Academy rented a bunch of rooms: one for Martijn himself, one for the programmers, there’s a kitchen area, and a classroom for the students. Was it worth the tuition? Yeah, definitely. I’d just like to say that I’m glad I joined this one over the other bootcamps I looked at. I’m happy with the opportunities they provided me with – and not just me, everybody in the bootcamp. The App Academy team are just fun people and they’re friendly. I can recommend that anyone join. To learn more, check out The App Academy's School Page on Course Report or Amsterdam's The App Academy website. Any other information you'd like to share with Martijn Wuite from The App Academy NL? By submitting, I acknowledge that my information will be shared with The App Academy NL. An email with these details has been sent to The App Academy NL. You've already applied to this scholarship with The App Academy NL.